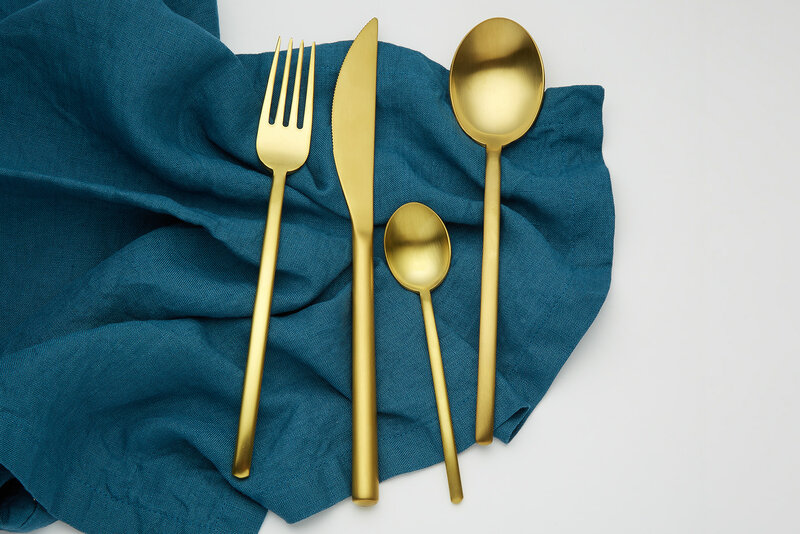 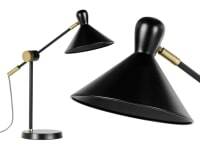 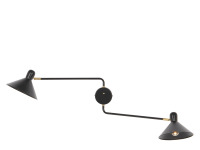 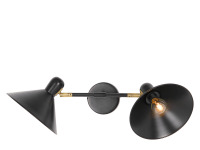 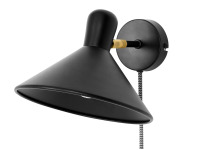 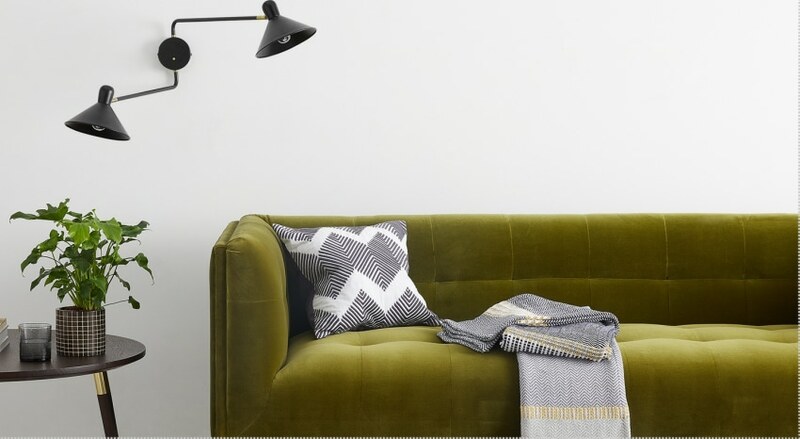 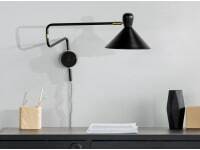 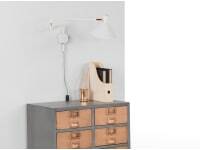 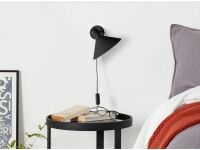 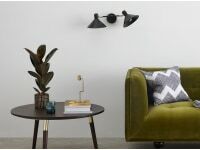 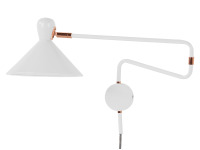 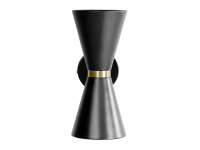 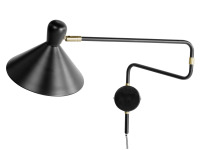 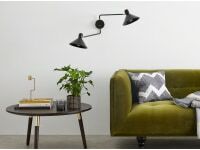 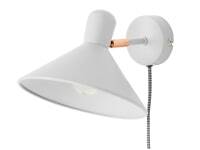 Take the industrial look of a task lamp, powder-coat it and add brass or copper details. 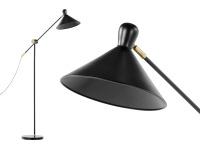 What you then have is Ogilvy. 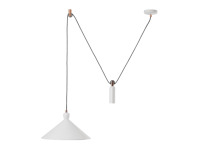 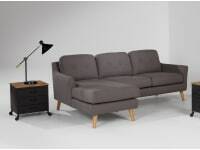 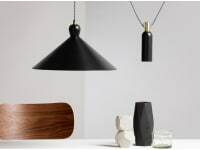 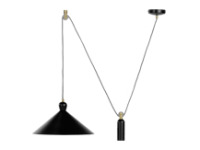 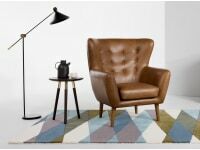 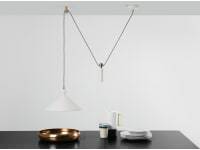 The floor, table, wall and pendant light with an elegant design and a pleasing price tag.